In everything we do, we strive to make commencement ceremonies easier for schools and their graduates. We make graduation photography easier and better by offering incredible service, using highly-trained photographers, and partnering with schools to make their ceremonies run as smoothly as possible. Lifetouch Special Events is not just an outside vendor. We train to be dedicated members of the commencement team at your school. We are in the business of making your school’s ceremony run as smoothly as possible, all while respecting the unique traditions and characteristics that your institution holds dear. Maintaining the dignity of your event is important. That is why we customize a commencement photography program tailored to your unique graduation ceremony. Lifetouch understands that our performance is a direct reflection of the integrity of your institution and that we are de facto representatives of how graduates feel about their commencement experience. We take these responsibilities seriously and take pride in representing our clients to their graduates. At Lifetouch, we use our own proprietary software developed specifically for event photography. In addition, we have our own lab based just outside of Minneapolis. Lifetouch Special Events is the only fully-integrated commencement photography company actively working within the University market. A good portion of our photographer training revolves around sharing the best practices and experiences with our clients. In short, we are resolving field issues with group input. Our goal is to help every commencement coordinator receive accolades from their superiors the Monday following the event. 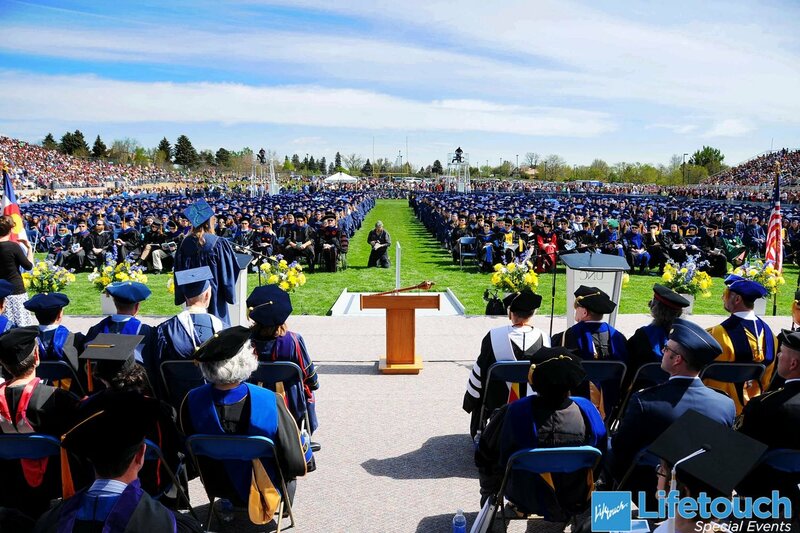 Lifetouch services over 3,400 commencement ceremonies a year, assisting schools of all sizes and types not only as event photographers but as ceremony consultants. Our photographers and event managers come prepared with an incredible wealth of experience and expertise on different structures and practices. If we come across something in another institution or another state that would work well with our client’s ceremony, we feel obliged to relay that to them. Many of our greatest success stories have started with the question, ‘have you considered this?’ We can provide just about any example, successful or unsuccessful, and let our clients know how it worked or didn’t work somewhere else. We are all about supporting the event coordinator, because we attend many events per year, and oftentimes the coordinator can only attend a few. When Lifetouch was contacting Purdue about photographing their ceremonies, we arranged for two on-site walk-throughs, attended three graduations with three different photographers, and conferred multiple times to ensure that we would be a valuable addition to Purdue’s team. We attended rehearsals and meetings with marshalls and faculty. At our first ceremonies working with Purdue, we visited again in preparation for the summer ceremonies to review flow and devised a better plan to ensure all graduates were photographed in a timely manner. This ongoing dialogue for improving our service to Purdue is essential to us.